Illustrators! Have You Applied For the Don Freeman Grant? Get all the info here, and good luck! And writers, the SCBWI Work In Progress grant applications are due March 31 as well. I thought this was a really cool approach, so I reached out to Bill to learn more. Lee: Your novel “Openly Straight” published a few years ago to a lot of acclaim. Now you have a sequel coming out March 28, “Honestly Ben.” Tell us about the short story you wrote that bridges the novels. Bill: "Openly, Honestly" was my editor's idea, but as soon as she said it, I thought it was brilliant. The basic concept was to bridge "Openly Straight," which is told in Rafe's point of view, to "Honestly Ben," which is told from the point of view of his love interest, Ben. She gave me free reign to figure out what the story was, and I immediately knew I wanted it to be multi-perspective--alternating between Rafe and Ben. Then I had the idea that I wanted whatever Rafe was doing in Boulder, Colorado, to relate in an odd way to what Ben is doing at his home in New Hampshire over Christmas break. My first idea was that Rafe and his friend would dress a soldier statue as a goat, while, on the very same day, Ben and his brother would be dressing a pet goat on their farm as a soldier. That didn't pan out, but something that satisfied my desire to have them feel psychically connected as they pine for each other did. Lee: Was it conceptualized as a marketing idea - something to give away for free that would spark interest in both novels? Bill: It was, I suppose. It's been four years since "Openly Straight" came out, and while the book has lots of huge fans, there are just as many if not more people who read it and liked it but don't remember it that well anymore. And more who simply don't know the book. This was a way to get new fans acclimated to Rafe, and old fans ready to hear from Ben. Lee: Did it go through an editing process like the books? Bill: It did. Scholastic (my publisher) is nothing if not super-professional. I'm pleased with how it came together for sure. It's funny and there are touching moments. It was so much fun to write in Rafe's voice again. He's so funny, and in a totally different way than Ben is. Lee: How does this differ from offering a free excerpt of a novel (which I see you’ll also be doing with “Honestly Ben”)? Bill: It's pretty similar, I suppose. For me as an author, it's far more work intensive, but it was truly a labor of love. I truly love these characters. In fact, who knows? Maybe if this book is as successful as the first, we'll make it a trilogy! Lee: Any lessons you’ve learned from getting word out about your books that you can share with SCBWI members and readers? Bill: I never want to sound negative, but I will say that it's incredibly challenging to get people's attention. To do any sort of campaign that "moves the dial" in any significant way has been tricky if not impossible. The thing I've done that has worked the best is to write a book in "Openly Straight" that creates word of mouth. It's four years after its release, and it is still selling because fans are telling their friends. And I don't say this to toot my own horn; my novels "The Porcupine of Truth" and "Out of the Pocket" have failed to get this level of attention, and I think in part that's because they don't have the same kind of great elevator pitch that "Openly Straight" has. And a good, catchy title. That helps, too. Thanks so much, Bill and congrats on the new book! 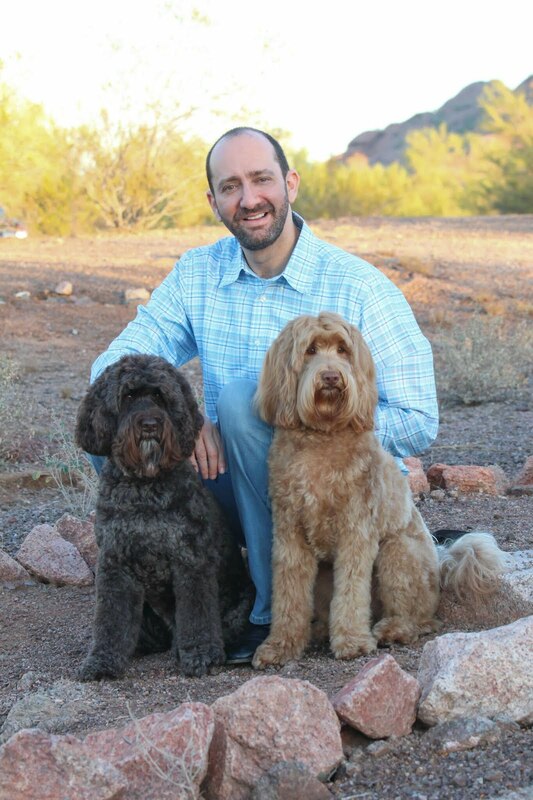 Bill Konigsberg is the award-winning author of three novels. The Porcupine of Truth won the PEN Center USA Literary Award and the Stonewall Book Award in 2016. Openly Straight won the Sid Fleischman Award for Humor in 2014, and Out of the Pocket won the Lambda Literary Award in 2009. When not writing, Bill teaches in the Your Novel Year online certificate program at the Piper Center for Creative Writing at Arizona State University. He lives in Chandler with his husband, Chuck, and their dogs, Mabel and Buford. The article is a fascinating snapshot of 13 agents and agencies' take on what's going on in the children's and YA marketplace, both in the US and internationally. 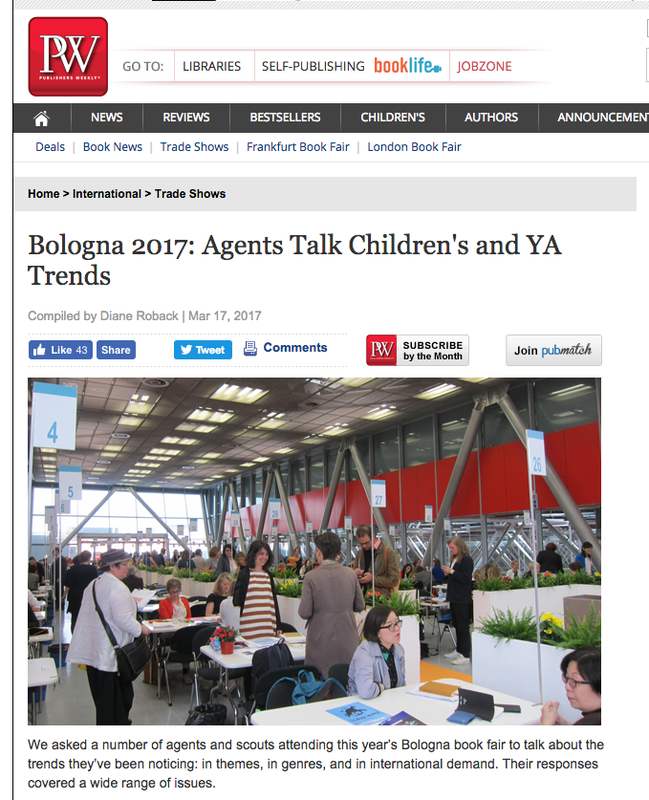 While it's good to know about the movements (like #ownvoices) and trends (like middle grade adventure), it's also fascinating to see that, as with everything in this industry, there's a huge amount of subjectivity: YA is either "hot" or "fatigued," depending on an agent's unique perspective. Overall, it's well worth reading! What a lineup for #LA17SCBWI! Get all the details, and register, here. We hope to see you in L.A.! Illustrate, and Write, and conference on! It's SCBWI's new literacy initiative, aimed at increasing book access, promoting SCBWI authors and illustrators, and advancing the mission of SCBWI: to support the creation and availability of quality children’s books around the world. 1. Wherever they are in the world, members nominate a local cause or organization in desperate need of books for children and young adults. 2. One or two recipient organizations are chosen. 4. Two large-scale celebrations will happen in the recipient's regions. 5. The books get into readers hands, building dreams and changing lives. 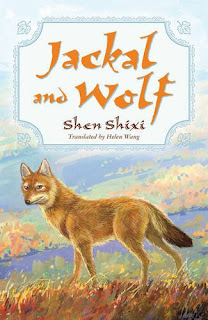 You can find out all the details at the SCBWI Books For Readers webpage here. The deadline for nominations is April 30, 2017. 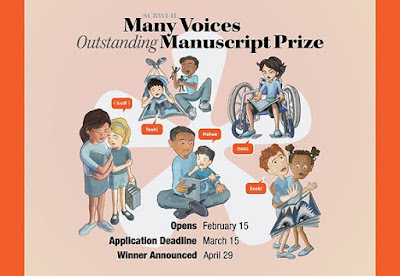 The burgeoning initiatives of the SCBWI-IL Diversity Committee include the second annual Many Voices Outstanding Manuscript Prize. The MVOMP, funded in part by an anonymous donor, is to be awarded to a manuscript that features a diverse main character or is written by a diverse author. 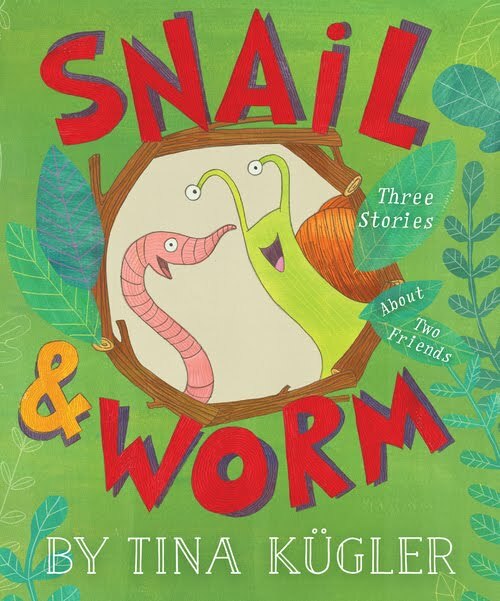 This contest gives SCBWI Illinois members an opportunity to win a written critique of the submitted manuscript and a 30-minute phone/Skype call with Marietta Zacker of Galt & Zacker Literary Agency. Understanding marginalization and privilege requires deep work. Writing outside one’s own lived experience takes great care. This is especially true when writing diverse characters that have historically been stereotyped, misrepresented, subjected to erasure, etc. We hope these resource lists can facilitate rich understanding among our membership. 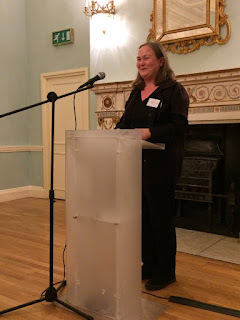 The first MVOMP was initiated in March 2016 at Creating Stories for Every Reader, an event that ramped up our region’s conversation on diversity and inclusion. The 2016 MVOMP winner, Katie Otey, received a critique and call with agent Adriana Dominguez of Full Circle Literary. Katie submitted an excerpt from her YA novel, Crossroads. 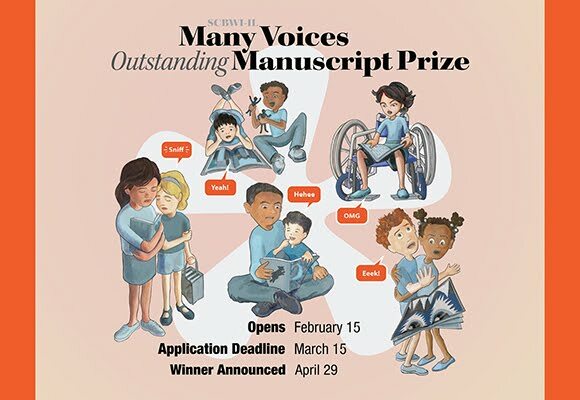 The deadline for submission to the 2017 Many Voices Outstanding Manuscript Prize is March 15. Marietta Zacker will announce the winner via Skype at the SCBWI-IL event, Spring Thaw: Pitch Perfect. We’ll let you know who wins. If other regions have questions about our SCBWI-IL diversity initiatives and our process around diversity, inclusion and intersectionality, give a holler. You can email me at susannefairfax (at) gmail (dot) com and I’ll bring it to our committee. 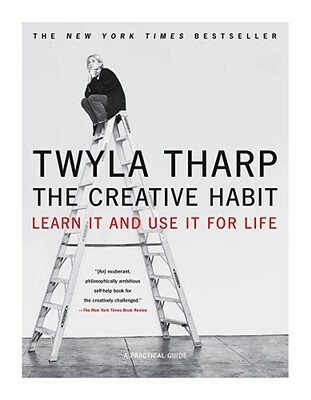 I'm a big fan of The Creative Habit by Twyla Tharp, who encourages readers to make a list of the skills that are needed to excel at their craft. • What skills have I mastered? • Where am I still growing? • What else would I add to this list? Rather than feeling guilty for not shining in every area, study what skills feel more natural to you and celebrate them as your special blend of magic. Only then, set an intention to develop the skills that don’t come quite so naturally but feel important to your work. And remember growing as a writer is about more than practicing writing. It’s about growing as a human being. So be gentle with yourself. Being human isn’t always easy. What combination of skills makes you the writer you are? How about the writer you aspire to be? Heidi Fiedler is a children’s book writer and editor. Whether it’s a poetic picture book, a zippy chapter book, or a kid-friendly take on the physics of time travel, the books she works on are quirky, playful, highly visual, and often philosophical. Heidi is also the creator of Visualize Your Story: An Instagram Workshop for Writers and Editors. Learn more about Heidi and the work she does at helloheidifiedler.com. Giuseppe Castellano, Executive Art Director at Penguin Random House, asked 12 animators to share their kid lit #arttips on his blog, in this post, Animation and Children's Books. 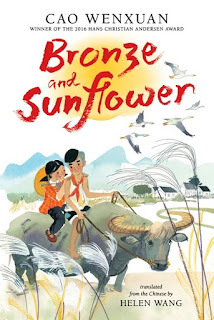 "In those 32 pages, I not only want to illustrate what has been written, but I also want to be able to show the reader who the character is and let them get a sense of the world that lives in between the words of the story." "In film school, I studied the 5 C’ of Cinematography: Camera Angles, Continuity, Cutting, Close-ups, Composition. Every single one of those applies to picture books. Too often, I see animator’s illustration portfolios with a well-designed, solidly-constructed character that is just standing there, static. Make them act! Or there are characters, but no background. In animation, you may have a specific task (character designer, colorist, background designer), but as an illustrator, you need to wear all of those hats." 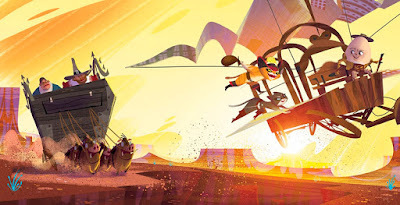 "I think the one thing that I learned in animation (from doing storyboards particularly) is to not be too precious about my drawings initially. I draw probably thousands of storyboards on any given film and you have to be willing to throw away something you just drew in order to draw a better idea. The whole point is to get the film up in storyboards as fast as you can so you can get it wrong as fast you can and change/fix it. If we spent all our time rendering our storyboards so that they look pretty but don’t really tell the best story in the animation reel (rough cut of the film in storyboards) then we just wasted all that time polishing storyboards we now have to throw out and redraw. So to apply that to book making is great because I can rough out a book in a day or less and then take a look at it and fix the story structure before I even worry about tones or useless details that will change as the story evolves and gets better. If you spend a lot of time on rendering your sketches or drawings then you start to become attached to them and it will be harder to toss them out and start over to get a better idea and story across. remember, STORY is KING. Focus on the story, not the rendering. If the story doesn’t work, the rendering won’t make it better. So my advice to anyone would be to focus on the visual story structure, character development, staging, compositions, pacing and word play and THEN you can add the details and rendering later. Here's an interior spread from Ovi's The Cat, The Boots, The Legend, from Simon and Schuster. 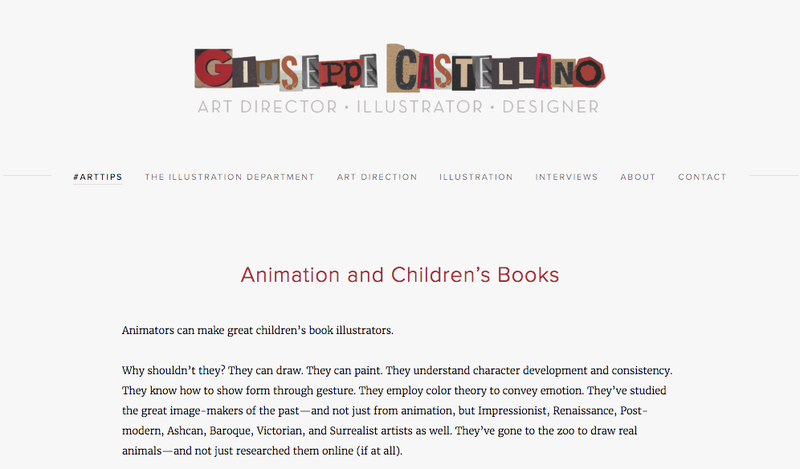 Illustrators, go read the whole piece - it's well worth your time!